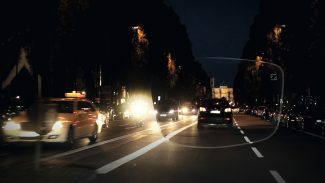 Many people feel insecure, uncomfortable and stressed when driving, especially in difficult light and weather conditions such as rain and mist, or at dusk or night. On average 83% of spectacle lens wearers also drive. Driving can be a real challenge for everybody – no matter how long the distance, and good vision is vital for safety. With ZEISS DriveSafe Lenses, ZEISS is introducing a new lens product category for everyday use. It is specifically designed to meet the vision needs of people who want to feel safer and more comfortable when driving with their everyday lenses and available in both single vision and progressive lens types. Pop in to either practice to learn more about how we can help make driving more visually comfortable again. This entry was posted on Tuesday, April 26th, 2016 at 3:32 pm and is filed under All, Eye Care, Optical Lenses. You can follow any responses to this entry through the RSS 2.0 feed. You can leave a response, or trackback from your own site.